Chipotle was founded by Steve Ells in 1993. The chain is known for its large burritos, assembly line production and the use of natural ingredients. The company currently has more than 1000 location with restaurants in 38 states. Chorizo is Chipotle Mexican Grill's first new menu introduction in two years. The spicy chicken and pork sausage will appear on menus Wednesday in restaurants in Columbus, Ohio; Sacramento, Calif.; and San Diego, as well as New York units in Manhattan; one restaurant in Denver; and at the unit in Washington, D.C.’s Dulles International Airport. All restaurants across the nearly 2,000-unit chain will serve the new protein by this fall. Chorizo is the first new menu item introduced by Chipotle since it rolled out Sofritas, an organic tofu option, in 2014. The chorizo is seasoned with paprika, toasted cumin and chipotle peppers, and is seared on the grill in restaurants to achieve a perfect char. at Chipolte are trained to make your burritos. Chipotle has registered the name Sofritas, a mix of organic shredded tofu braised with chipotle chiles, roasted poblano peppers and spices. Hodo Soy, based in the San Francisco Bay area, produces Chipotle’s Sofritas with whole bean tofu that is organic and free of genetically modified beans, the company said. The taste is on the mild to medium spice level, same as the green salsa or barbacoa. 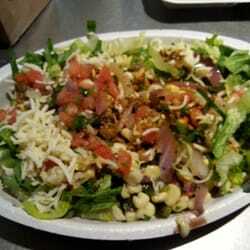 It goes great in any of the same entrees you can find at Chipotle such as burritos, bowls, tacos, salads. The Denver based fast casual operator said this week it would add the item on Oct. 13, 2014 at restaurants in Alabama, Arkansas, Florida, Georgia, Louisiana, North Carolina, South Carolina, Tennessee and Texas. The October rollout will also include the full state of Virginia, where some locations have tested the item already, a spokesperson said. 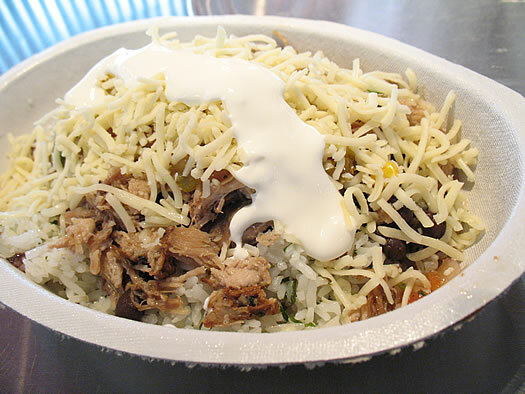 Chipotle plans to add Sofritas to its permanent menu across all U.S. restaurants by the end of 2014. Prepare the Mexican Spice Mix: Combine all the spices in an airtight container and shake to combine. Prepare the Sofritas: Heat a cast iron skillet over medium heat and warm the oil. Saute the onion and garlic with a pinch of salt until softened, about 5 minutes. Add the chipotle peppers, chiles, and spice mix, and continue cooking and stirring until the spices are fragrant, about 1 minute. Add the tomato paste; cook another minute. Add the crumbled tofu and beer and cook until the liquid has reduced and the flavors have melded, about 5 minutes. Taste and adjust the seasoning as desired. Serve with rice or tortillas and fresh lime wedges. Get ready for the ultimate take-out fake-out. The recipe works best if you let your copycat Chipotle chicken marinate overnight. This great recipe gives you instructions for how to make all the fixins'. It will soon become a new classic in your house! Even though Chipotle is known for its burritos, we skip the whole tortilla and get a burrito bowl (it's all the stuff from a burrito, but in a bowl without the tortilla). The wrapper is fine and all, but we think it's superfluous when you have all the other tasty ingredients (and we don't miss the 300 calories). Meat: Carnitas -- the pork is usually tender and flavorful, and if you get a good scoop of it, it'll have some nicely seasoned bark on it, too. Rice: Sure -- we don't have a problem with it like others do, but keep an eye out -- sometimes they go over board with this. Beans: Black -- these seem to stand up better to the pork than the pinto. Salsa: The tomatillo green (which is the "medium" spicy) -- you gotta have some spice to go along with the pork and the rice. Updated January 2009: We've become converts to the tomatillo green/fresh mild combo. Sour cream: Yes, but again watch out. We've seen the line workers go crazy with the sour cream. A little goes a long way. You need just enough to provide a little bit of cooling for the salsa. Any more and it starts to drown out everything. Cheese: You bet -- in moderation. You may be tempted to get guacamole. That's not necessarily a bad idea, but we've found that the guac at Wilton location has been hit or miss (it was OK on our one trip to Latham). And the burrito bowl is good without it. Oh, and skip the lettuce -- it just gets in the way. Chipotle figures there's something like 60,000 combination* you could get by by mixing they're various ingredients. So if this lineup doesn't work for you -- hey, you have choices. No matter how many times you eat it, Chipotle never seems to get old. Simply ordering from the menu yields hundreds of options for customizing your burrito, bowl, salad or tacos, but why stop there when you can order off the menu? Technically, Chipotle doesn’t have a “secret menu,” but employees are encouraged to make what customers ask; just be considerate and patient with your server and don’t go too crazy during peak times. We’ve scoured the Internet and talked to a Chipotle employee to bring you this comprehensive list of ways to take your next Chipotle experience to the next level. Extra Fillings Despite the questions “black or pinto?” and “mild, medium or hot?”, you’re not limited to one type of bean or salsa. You can also choose up to two proteins for no extra cost, but you’ll pay for the more expensive protein. Load up on Veggies There’s no extra cost for fajita veggies when you order a protein, so you might as well add them to increase the nutrients in your meal. Fresh Cilantro A little-known Chipotle fact: you can get fresh cilantro and freshly chopped jalapenos added to any item, at no extra charge. The Quesarito A Quesarito is a burrito quesadilla hybrid: first, the tortilla is loaded with cheese, folded and pressed in the tortilla warmer. Then, they open up the quesadilla and pile it with your choice of fillings. The whole thing is rolled up like a burrito. If your Chipotle server isn’t aware of the Quesarito, just tell them to use a quesadilla as the shell for your burrito. The Burritodilla The Burritodilla is a smaller version of the Quesarito that looks more like a quesadilla and contains fewer fillings than a burrito. The burrito fillings and cheese are layered on a tortilla then warmed to perfection. If your server doesn’t know about the Burritodilla, ask them to make a quesadilla but add about half the usual amount of burrito fillings. Protein-Guac Trade Off If you don’t order a protein, you can get guacamole added to your order at no extra charge. Free Tortilla or Shells We know you’re trying to be healthier with that burrito bowl, but did you know that you can get a free tortilla or taco shells on the side? Eat them separately or use them to prepare your own burrito or tacos. Vinaigrette Dressing The chipotle honey vinaigrette dressing isn't exactly a secret, but it’s not very well known and word on the street is that it’s unreal. Try it on a salad next time you order. Chipotle is planning to test a braised, shredded tofu filling as a protein option next month out in San Francisco according to this AP story. They're calling it "Sofritas" and it's cooked similar to the chains' barbacoa. The tofu will be braised with tomatoes, chipotle sauce, and poblano peppers. Compare that to the barbacoa which is beef braised with chipotle pepper adobo sauce, cumin, cloves, garlic, and oregano. If the test goes well, expect it to expand to other markets. If successfully added to the menu, tofu would be Chipotles second vegetarian option after their "Vegetarian" option which features vegetarian black beans and guacamole for protein. Copycat Recipes for items on the menu at Chipotle Mexican Grill restaurants.